Even if you don't celebrate Christmas, you're probably familiar with advent calendars. Many of us, though, haven't ever given thought to where advent calendars come from, even if we partake in the tradition every year ourselves. The history of advent calendars, though, is truly fascinating — and it explains a lot of the elements of the standard advent calendar that many of us probably take for granted. In case you need a refresher, advent calendars as we know them today typically begin to pop up in stores as the winter holiday season kicks up. They're boxes, usually — often of chocolate, although not necessarily so. Whatever's inside, the box features 24 little "windows" you can open, gifting you one small treat per day leading up to the 24th day of the month. 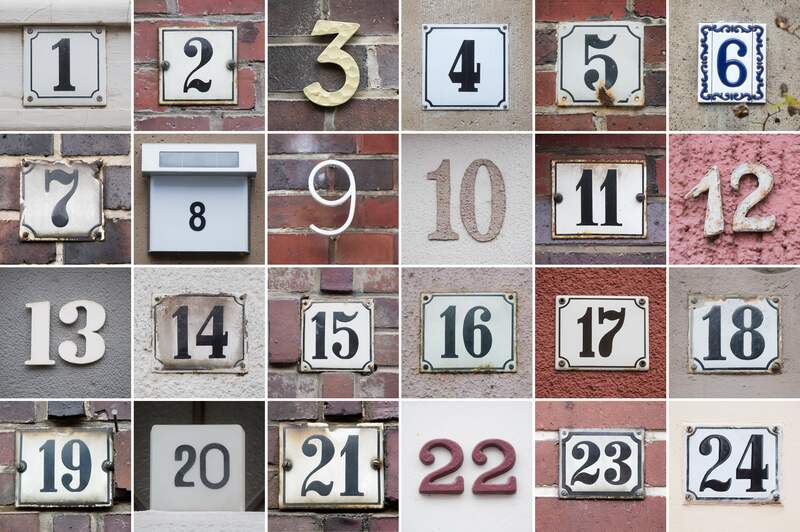 While of course you can get creative with your advent calendars and use them to count down whatever you like and at any time, it usually serves as a countdown to Christmas (since Christmas is celebrated on Dec. 25, the day after the advent calendar runs out of windows). Cute, right? This is generally a hit with children who are excited about the holidays anyway, but there are plenty of versions of advent calendars geared to adults, too. As Scott Allen explains at Mental Floss, Advent is the period of four weeks that generally begins on the Sunday closest to the feast day of St. Andrew the Apostle, which falls on Nov. 30. The Advent continues over the next three Sundays, making it a total of four Sundays long. Way back in the day, this period was a time for converts to Christianity to get ready to be baptized, but now we think of it as the weeks leading up to Christmas. Interestingly, though our modern day advent calendars don't really follow the timeline of the religious Advent period. Instead, they typically begin on Dec. 1 and end on Dec. 24 — that is, they count down the 24 days leading up to Christmas, which is celebrated on Dec. 25. As Scott Allen explains at Mental Floss, "The tradition dates to the mid-19th century, when German Protestants made chalk marks on doors or lit candles to count the days leading up to Christmas." Pretty cool, right? Many advent calendars today use chocolate, toys, or other treats (like wine and cheese!) as their surprises for each day; this is likely a result of both the commercialization of advent calendars and the fact that they're more of a secular tradition than a religious one now. More traditionally religious advent calendars do still exist, though, with the daily surprise consisting of a Bible verse. As Elizabeth Dias explains at TIME, the Bible verses go back to the heavy presence of religion in the mid-19th century, a period during which people were likely to spend extra time with their Bibles and connecting to their spirituality around the end of the year. So, by opening up a little "door" on the advent calendar, you had a new Bible verse to review and muse over each night. What Are Advent Calendars Like Today? According to Scott Allen at Mental Floss, the first printed advent calendars date back to Germany in the 1900s; they're thought to have achieved popularity in the United States after a photograph of Dwight D. Eisenhower opening one with his grandchildren appeared in newspapers during his presidency, and, well... the rest, as they say, you know? Depending on your personal connection with religion, your experience with advent calendars today is likely going to vary. While plenty of people still use them to connect with their faith, plenty of others share them as a fun, non-religious gesture around the holidays. You might find a wide variety of treats hiding in them now, too — and if you're having trouble finding one that really floats your proverbial boat, you can even make one yourself. The important thing? Just have fun — and share it with the people you love. After all, no matter what you celebrate, nothing brings us together like the holidays.